Looking to fill up your iPhone or iPad with free apps? 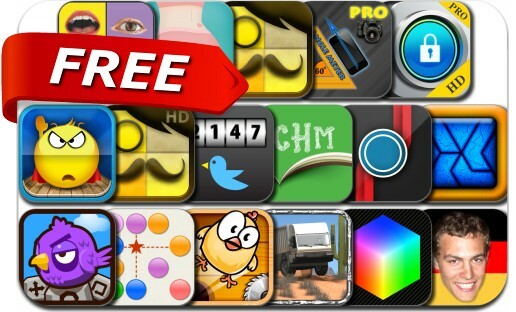 Great apps go free on a regular basis, just like these 17 apps. This apps gone free alert includes TriZen, Slide Circus, Beat Beans, Alpine Crawler Desert, Drop The Chicken, Twitr Check, Tired Birds, CHM Sharp, Buttock Workouts, iAngle Meter Pro, Satur8 and many others.